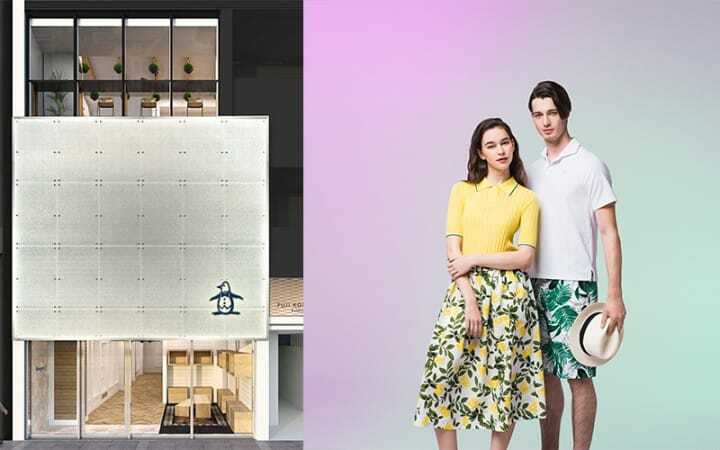 https://matcha-jp.com/en/5908 Munsingwear Clubhouse Ginza - A New Exciting Fashion Store In Ginza! Munsingwear Clubhouse Ginza - A New Exciting Fashion Store In Ginza! On April 7th, 2018, the sportswear brand Munsingwear opens its flagship store in Ginza, Tokyo! Their Ginza store only items are truly worth checking out. Read on about the features of this store, about their items, and other useful information. Although Tokyo offers a world-renowned, high-standard fashion scene, there is still one part of the city that stands out the most in the fashion beehive, with fashionable, high-quality clothing stores everywhere you look – Ginza. It is no wonder, then, that here in this shopping paradise that excites everyone with its rows of first-class brand clothes stores and extravagant clothes displayed in all directions, you can see people flowing in not only from Japan but from other countries as well. And on April 7th, 2018 in Ginza, another fashion store is scheduled to be opened. Its name is MUNSINGWEAR CLUBHOUSE GINZA. Perhaps one of the most distinguishable features of Munsingwear might be the brand’s mascot, a cute penguin called Little Pete. Munsingwear is a golf-wear brand, loved by the professionals and living up to its name for more than 60 years. Although it is a brand famed for its outstanding golf wear, each item in their collection is a superb fashion item in itself, so it's a favorite of many people. You can choose from a variety of most stylish, high-quality items, such as their popular polo shirts, cotton sweaters of great quality, bottoms with various designs, both regular ones, popular with great number of people, and peculiar ones, with a characteristic design. They also offer a great variety of everyday-wear items. With its colorful and stylish design, this clothing line ought to make you head straight outside, into the world, the moment you put it on! Committed to “pursuing the best-quality items”, at Munsingwear they have been creating clothes by paying attention to the “how one feels while wearing the clothes”. The texture of the cloth, its ability to dry quicker, as well as the many other great features of their clothes is what makes this brand one of the best. One series we would like to recommend, especially for travelers, is One Thing Collection. Its distinguishing trait is that it’s JAPAN MADE, with processes of the production, from spinning and knitting to sewing and altering being performed in Japan. The very first flagship store of Munsingwear Clubhouse Ginza in Japan is a three-story building. The façade has a design of the unique knitting pattern of the brand’s most distinguishable items, namely their knitted garments and polo shirts. The name of this pattern is kanoko-ami (kanoko knitting pattern), and its representation is made of a stainless material, displayed alongside the logo of the brand’s mascot Little Pete. On the first floor of the building, you will find the brand’s regular items and the pop-up store space. On the second floor there is a corner with items you can find only at this Ginza store, while on the third floor, in addition to the apparel corner, there is also a space for events. This space is intended for various workshops and similar activities. The whole space gives off an aura of a social meeting space for adults. It's a dignified space reflecting the world of the brand's clothing, where one can actually check the quality of the material for themselves, feeling it out with their own hands. Although Munsingwear offers a whole variety of clothing items in various styles, such as polo shirts, cotton sweaters, hoodies, skirts, slacks, and other items, while visiting this store you should definitely pay attention to the Ginza store-only items! Great examples of such unique items loved by everyone are the polo shirts of slightly different, seasonal designs and colors. Easy to combine with any other clothing item, these polo shirts take simple, ordinary clothing to the next level. Some of the Ginza store-only designs make your heart flutter with joy just by looking at them, especially the ones that catch your eye with their quality and fashionable looks. Each piece is highly absorbent and flexible, which makes it perfect for long walks and breaking a sweat while strolling the streets of Tokyo! These refined items with a superb design and characteristics are not only ideal as a present for oneself, but also as a gift for your friends and family, anyone who fancies the stylish look. It is quite easy to access Munsingwear Clubhouse Ginza, considering the fact that it is in the same area with some of the most prestigious brand stores along Namiki-dori Street. It will take you only five minutes on foot from Yurakucho Station, and even less (two minutes) from Ginza Station. It might make you happy to hear that you can also pay a visit to some of the world’s most renowned brand stores such as Armani and Hermès which are located nearby, and if you feel like walking for another three minutes, you can even take a walk around GINZA SIX, a shopping facility that opened in 2017. The fact that you can enjoy shopping to your heart’s content in the vicinity is definitely another attractive side to this fascinating store. When in Ginza, Head to Munsingwear Clubhouse Ginza! Munsingwear Clubhouse Ginza is a store that provides the finest in clothing items even among the numerous brand stores of this area and is a must-visit place when nearby. Don’t miss out on a chance to feel their superb-quality clothes with your own hands, while strolling through the store’s sophisticated ambiance. Tokyu Plaza Ginza: Japanese Souvenirs, Handicrafts, Sake And More!